I have always thought that tarts were an elegant dessert, just a few steps above your everyday pie. After I purchased a couple of mini tart pan I have been eagerly wanting to try out some recipes. 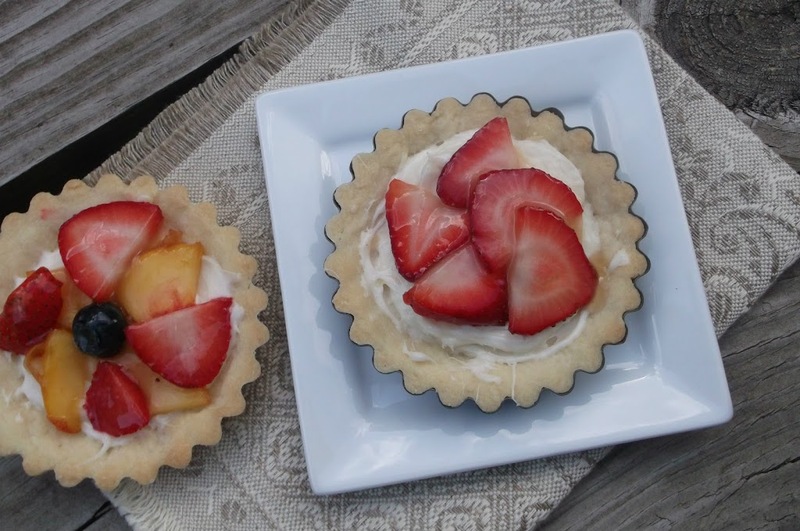 I have posted the French silk mini tarts a couple of posts ago. But I wanted to make a fresh fruit tart with the end of summer here, soon the yummy fresh fruit will be gone and we have to wait until next summer. I love the fruit tarts, all the way from the crust to the glaze. The crust was a simple one with only three ingredients. It turned out to be sweet and crumbly. There is nothing written in stone when it comes to what type of fruit you can use. I think that the strawberries, peaches, and blueberries shout summer, but for the winter months I think that bananas, pineapple, kiwi, or oranges would be perfect. The filling and the glaze are light and sweet which compliments the fruit nicely. Overall these tarts are a very impressive dessert. The mini tarts are fun, giving each person their individual sweet treat. 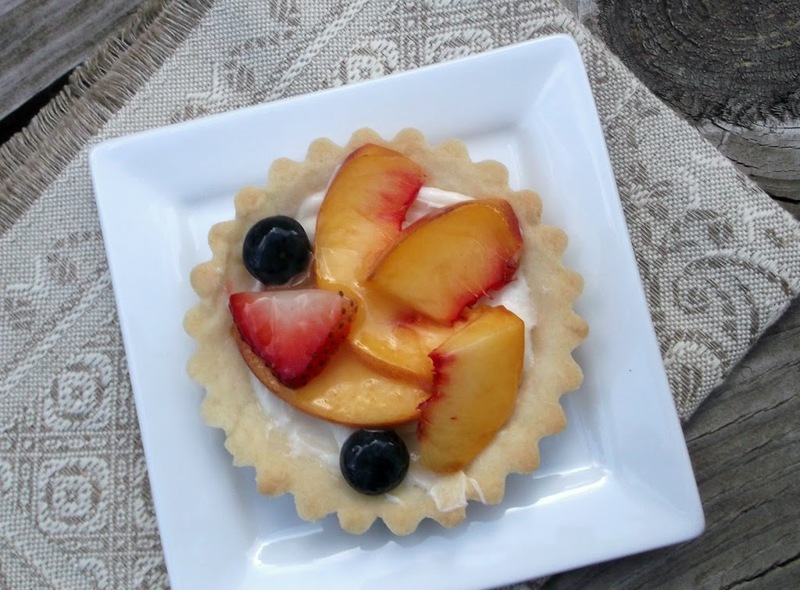 So if you are looking to impress your guest or family go a few steps above a pie try making a tart or even a mini tart. I am sure everyone will be raving on how delicious they are. I have an announcement. Earlier this summer I announced on my blog that I would be a grandma late summer, it has finally happened, our granddaughter was born last week. I would like you to meet Aubrey Hope. In a medium bowl, combine the confectioners; sugar, flour, and butter use a fork to mix the ingredients together until it forms a ball (a food processor can also be used). With your fingers press the dough into mini tart pans with removable bottoms, taking care to push the crust into the indentations in the sides. Pat until the crust is even. Prick the bottom and sides of crust with a fork before baking. Bake for 10 to 12 minutes until lightly brown. Set aside and let cool completely. Beat cream cheese, sugar, and vanilla together until smooth. Spread about 1 to 2 tablespoons over cooled crust. Top with favorite fresh fruit. Mix together the sugar and cornstarch in a small sauce pan. Whisk in water, orange juice, and lemon juice. Bring to a boil over medium heat, boil for 1 minute. Remove from heat and allow to cool completely. Spoon or brush the glaze evenly over the fruit. Refrigerate. Impress and enjoy! 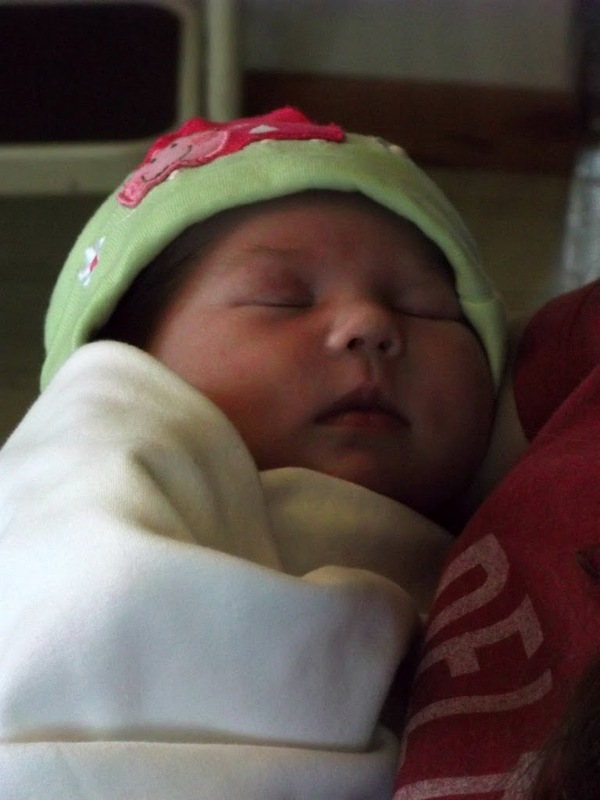 Congratulations on your adorable granddaughter! She looks so sweet and content! 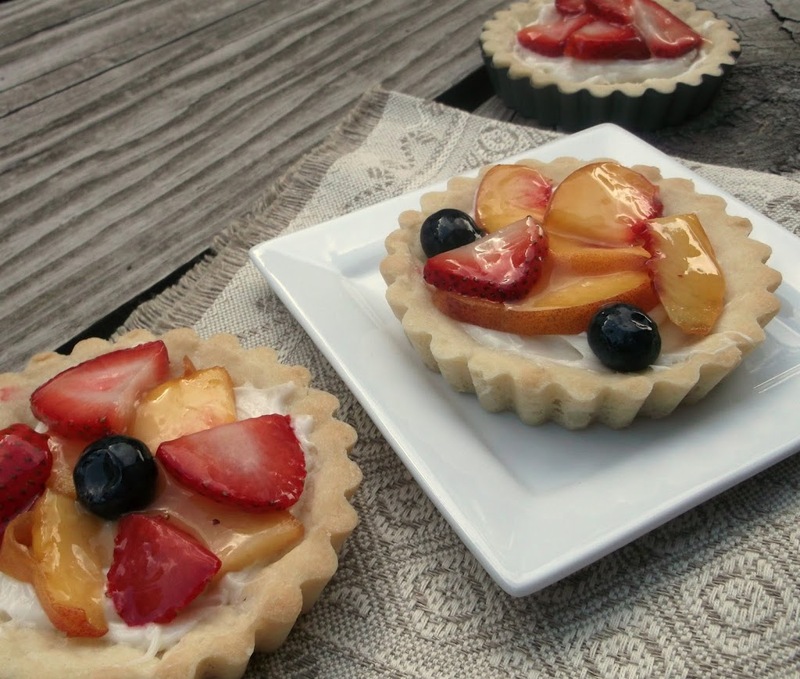 The fresh fruit on tarts sounds lovely – Mmm! Congratulations! Aubrey is beautiful. Enjoy, grandma! The tarts look amazing but the granddaughter steals the show… simply beautiful! The fresh fruit tart looks delicious…beautiful colors. Congratulations! She’s beautiful! And so are your tarts! Elegant, easy and so scrumptious. Aubrey is a cutie! Congrats! And these tarts are wonderful. Something about a tart always says “special” to me, and these certainly are. Thanks for this. The cream cheese filling sounds so great with the fruit! The little tarts are so cute. Congratulations on the arrival of your beautiful granddaugter!